A complete and essential activity-based guide to ELT classroom management. 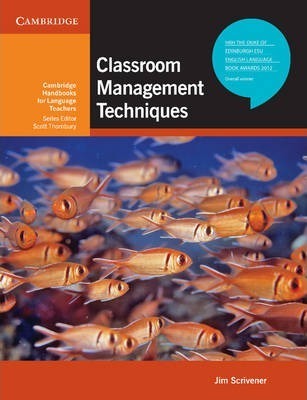 Overall winner of the 2012 HRH The Duke of Edinburgh ESU English Language Book Award, Classroom Management Techniques offers a huge range of practical techniques to help teachers make the most of their teaching space and get students working in more focused ways. It helps teachers anticipate and avoid problems in the classroom, allowing more time to be devoted to meaningful activities. By analysing the classroom from three perspectives: the classroom, the teacher and the learners, this book presents a ground-breaking analysis of 14 kinds of teacher intervention, allowing teachers to examine the way they communicate with learners.